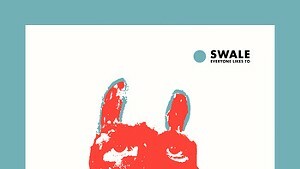 For a band that's only been around for a few years, Swale have established themselves as leaders of a new Burlington sound - a smart fusion of art-rock and experimental pop. Keyboardist/vocalist Amanda Gustafson, guitarist vocalist Eric Olsen and drummer Jeremy Frederick have all logged serious time in service of the scene. Their frequent live appearances swing wildly from psychedelic free-for-alls to tender, slow-burn ballads. But when it comes to making albums, the band takes its sweet time. Their debut EP Verdigris - which clocked in at a brisk 22 minutes - took a year to record. By the time it hit the streets in 2003, Swale were rumored to be at work on a full-length follow-up. Now, three years later, the tentatively titled A Small Arrival is finally on the horizon. To tide fans over, they've released a four-track EP called Waterlanding. "Armadillo" opens with a swelling drone, then recedes into pillowy keys, nocturnal guitar licks and brushed drums. "I'm watching Armadillos / on the TV," Gustafson sings. "It is a uniform that some would say becomes me." A powerful song about a woman's struggle to open herself to the one she loves, it features an appropriately heart-wrenching solo from Olsen. The title cut might be the prettiest tune about a plane crash ever set to tape. During the song's six minutes, Olsen intones a sleepy vocal over narco-haze accompaniment. The lyrics juxtapose reassuring safety-card sentiment with small hints of the craft's demise. "Plastic headphones on the back / Of the ear / Through a crack / Air is leaking," Olsen sings as sound swirls around his words. "Wasserlunding," the record's third track, is a remix of "Waterlanding" by Carrigan's Zach Martin. 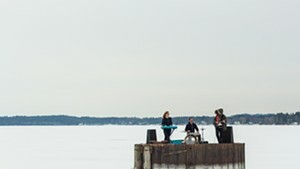 It begins with a free-rock workout of chimes, plodding guitar and ominous drumming. Soon, the song descends into an electronic stammer similar to Thom Yorke's recent solo effort, Eraser. The remix utilizes electro soundscapes that tickle the ear without compromising the original's substance. The EP closes with a tune by Frederick. "The Down" is a moody piano-and-drum number featuring a mush-mouthed vocal steeped in autumnal gloom. The track offers further proof of the band's collective songwriting abilities. Waterlanding offers the best of both worlds: a teaser EP that whets the appetite for A Small Arrival's, well, arrival, and a collection that solidly stands on its own. Catch the release party at Parima on Friday, September 29. Swale will play tunes from the EP as well as the entirety of Lou Reed's classic Transformer, the latter with an expanded lineup.